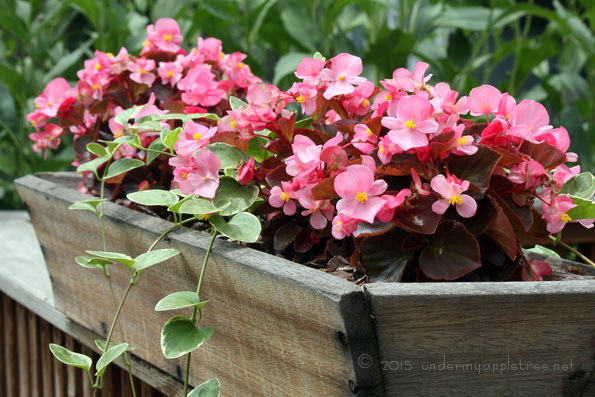 Almost wordless: With all the rain we had this spring, the flower boxes on my deck grew lush and colorful. Begonias always make me smile. yes — one of the good things about all this rain! Wow. That is a brilliant burst of color!